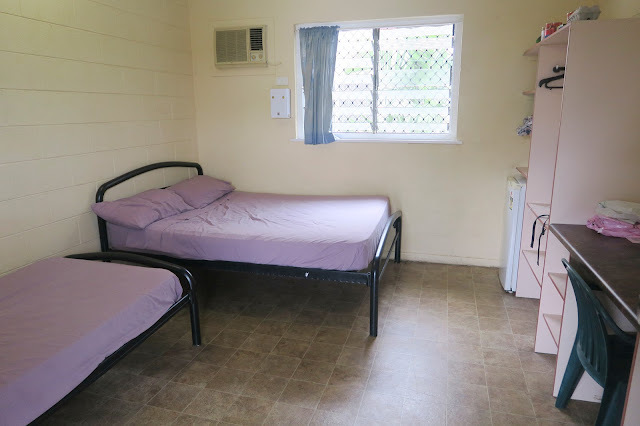 TRAVEL - Castaways Backpackers Hostel, Cairns City - Review. Castaways Backpackers is a homely, family run hostel based in the heart of Cairns City. The hostel has been running for 26 years which ensures that they know how to create a perfect home away from home for all their guests. We stayed for three complimentary days while working with the hostel - but loved it so much we came back and paid for another two nights! Although the premises is small, it is of high quality and has plenty to offer for a variety of different backpackers. When you arrive through the main entrance just off Sheridan Street you'll find the reception to the right. Here is where you'll be checked in, we were greeted by the lovely Helen. The check in procedure is really straight forward - we gave our passports to be scanned, talked about our booking and paid our key deposit and were then shown around the venue to ensure we knew where everything we could possible need would be. Our room was located on the second floor on the other side of the car park. We had a private room with the shared bathroom being located downstairs. The room had a double bed in one corner under the window and a single bed for any additional guests. I loved our room, it was cosy, quiet and had everything we needed. The double rooms all include a ceiling fan, desk space for those nomads that need to get some work done (highly useful for us! ), large storage spaces build into shelving units so we had plenty of room to put our belongings and my personal favourite - we also had our own fridge to store our food. This is perfect as it means noone was able to help themselves to our goods! In addition, the room is also fitted with A/C, but it'll cost you 1 AUD for 3 hours (hardly breaks the bank) The super fast Wifi also reached our room without a problem. 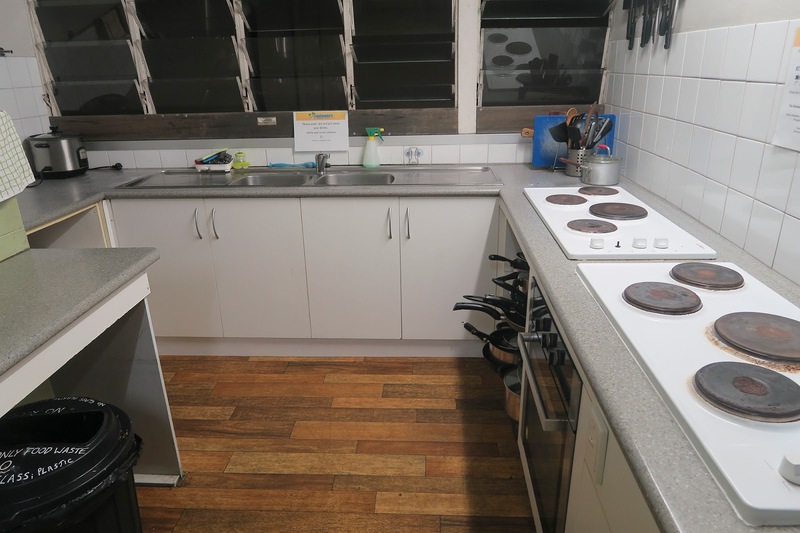 The hostel has two kitchens, one outside that is open 24/7, with two hobs, microwaves and a toastie machine to make cooking a breeze no matter the time. There are fridges outside for those who are staying in their own van in the car park and also a 'help yourself' area where backpackers leave food they no longer need for someone else to use. A second kitchen is found inside, again with two hobs but also an oven so you can cook more variety of food. The areas are always clean - although we're all adults now and should know how to clean up after ourselves, the girls working at the hostel would give it a thorough clean twice a day to ensure it was hygienic, including mopping the floors so the place was always clean every time we wanted to use it. Other facilities the hostel offered included a laundry room downstairs with washers/driers and irons. 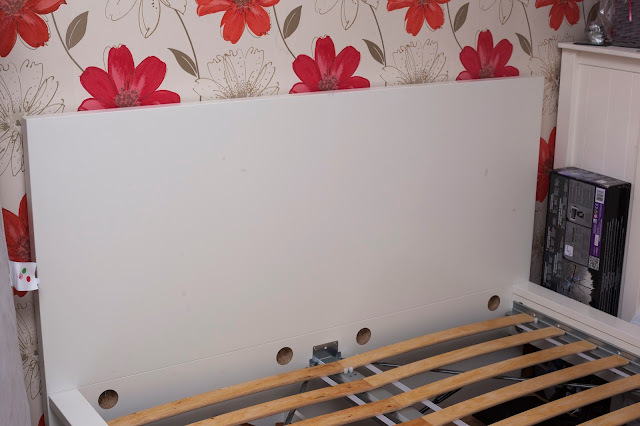 A comfortable TV room upstairs with free Netflix so you can enjoy your favourite shows. The room had big sofas, bean bags and fluffy blankets to make it feel just like home. Across the landing and outside took you to another TV area. With a large flat screen television and a Nintendo Wii to keep you occupied before heading out to the town. The hostel runs hourly buses into the city centre until 6pm everyday for those who need it, but it's only a 20 minute walk to the main street so not the end of the world. You can pick up your wrist bands for VIP enter to the main clubs in Cairns City and also sign up for local pub crawls directly for those who want to party. There are posters in the pool table area that showcase what events are on for the night. On the days when the sun is actually shining you'll also find the guests enjoying themselves in the hostels private pool. 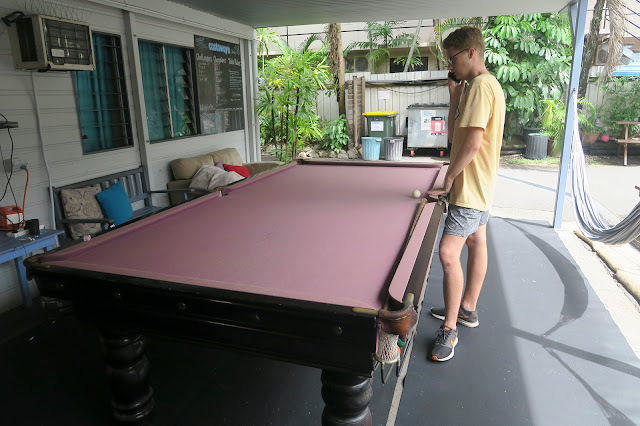 Due to the wet season hitting Cairns heavily this year the number of backpackers in the city is relatively low, but everyone we met, including the staff staying at the hostel were friendly and gave us some tips on what to do in the area during the torrential rain. Overall, we would highly recommend Castaways Backpackers Hostel, it had everything we needed and more. 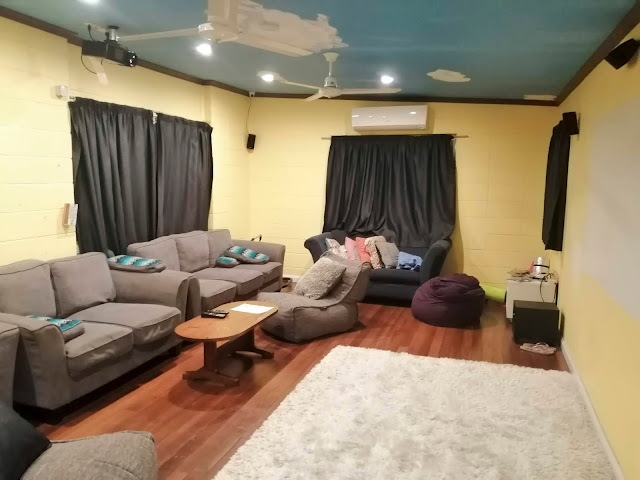 Located in a quiet location but still close enough to the party for those who want to go out and enjoy themselves. A nice atmosphere with polite guests and staff and I knew every night I would have a decent sleep! TRAVEL - WHAT TO DO IN HANOI, VIETNAM?